The Venus is the now iconic shape that brought Faith Guitars to the consciousness of so many players over the years. The combination of a 15" lower bout and a slimmer depth of body looks to classic OM or Auditorium body-shapes for inspiration, and makes the Venus the perfect compromise. It is still big enough to deliver a big acoustic performance, yet remains small enough for the player to jump around on stage with no problem. Faith Nexus Series are a collection of beautiful acoustic, gloss-finished guitars using all-solid mahogany bodies and tops. 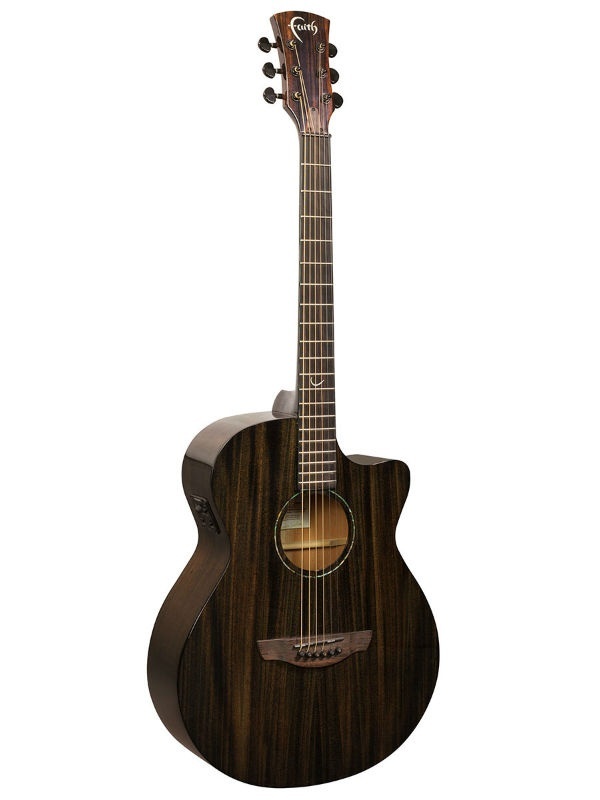 The all-mahogany construction creates a guitar that loves to be played hard and offers a distinctive tonal character with an emphasis on the mid-range.Faith Nexus Series are a collection of beautiful acoustic, gloss-finished guitars using all-solid mahogany bodies and tops. 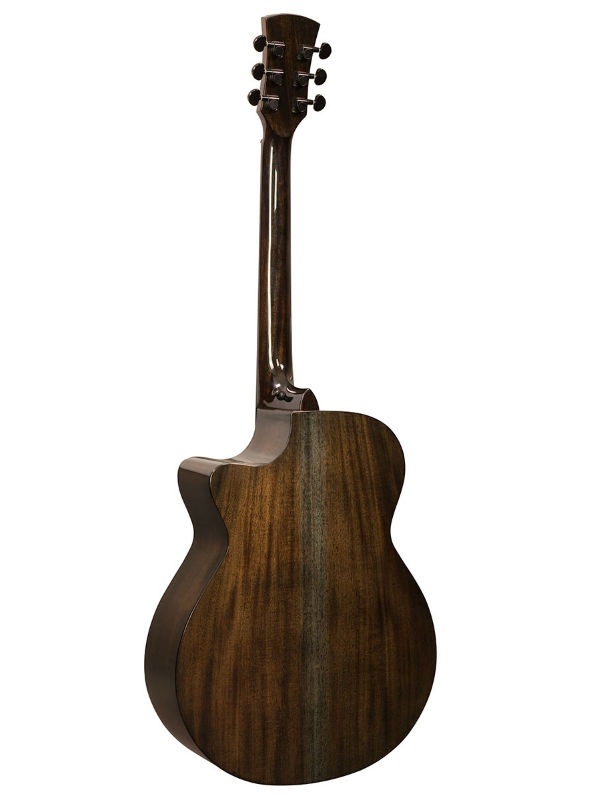 The all-mahogany construction creates a guitar that loves to be played hard and offers a distinctive tonal character with an emphasis on the mid-range. In keeping with our popular Naked series, Nexus series guitars are also free of unnecessary cosmetic flourishes, instead relying on the tonewood’s natural variations, and the hand-applied Copper Black stain to add visual appeal. And what an appeal there is! Although there is still a certain stripped back look, the addition of a carefully applied high gloss lacquer not only highlights the mahogany’s natural beauty, but also adds a layer of physical protection that ensures your Nexus will shine for years to come. Precision black tuners, black nuts and saddles, and genuine ebony fingerboards, bridges and bridge pins complete the Nexus look, and accentuate their already rich and dark visual palette.